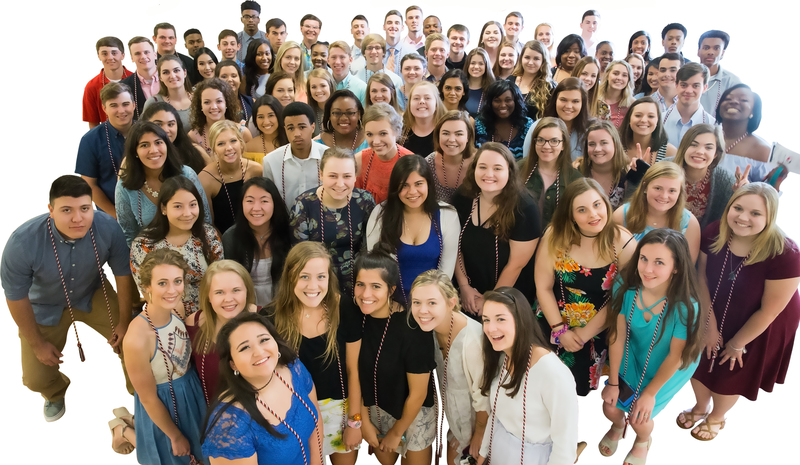 SALISBURY — Nearly 2,500 students are Crosby Scholars, the group’s Rowan County affiliate revealed during its annual board of directors meeting. That brings the number of students served by the program in its first five years to more than 5,000. This year, Crosby Scholars is piloting an “all in” concept at two middle schools — Erwin and North Rowan — and two high schools — East Rowan and North Rowan — which allows all eighth-graders and freshmen to enroll in the program. Crosby Scholars’ academy workshops and opportunities for community service will be taken into these schools so that students are better able to meet the program requirements. North Rowan High School recently held a “Crosby Blitz” day, with students attending workshops that included a session with Catawba College President Brien Lewis. With two classes of graduates, the Crosby program has sent 360 college students off to further their education. Crosby Scholars has awarded $147,550 in Last Dollar Grants to these students — money that covers unmet financial need and was raised through community support of the program’s BBQ, Bands and Boots fundraisers. The program has begun a Challenge Campaign for Last Dollar Grants this year, as a means to sustain the ability to award these grants. This year’s class of 156 seniors will graduate from every traditional Rowan-Salisbury Schools high school, as well as Rowan County Early College. Senior advisers trained by Crosby Scholars staff have been meeting with these seniors and assisting them with their plans for after high school. This year, the program is planning its annual Senior Gala to celebrate the college acceptances of its Class of 2018 on the afternoon of April 29. The Crosby Scholars program relies on its board of directors to accomplish its mission of ensuring every Rowan-Salisbury Schools student has the opportunity to pursue college or postsecondary education. The program recognized the directors whose terms on the board have ended: Judy Grissom, Bob Setzer and Jason Walser. The board will welcome three new directors to the Class of 2020 in its first meeting of 2018: Pastor Timothy Bates, Terry Osborne and Tracie Sells.